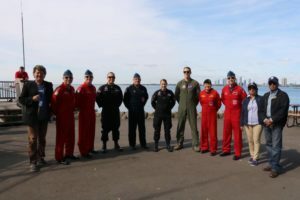 The European Club of Canada along with the Royal Canadian Armed Forces (RCAF) and residents of Toronto watched the canvas of the skies of Lake Ontario be painted in shades of beauty as Canada’s premier aerobatics aviation team of CF Snowbirds / Snowbirds des FC, put on a display during their pre-airshow on Friday before their annual, “Parade in the Sky”. 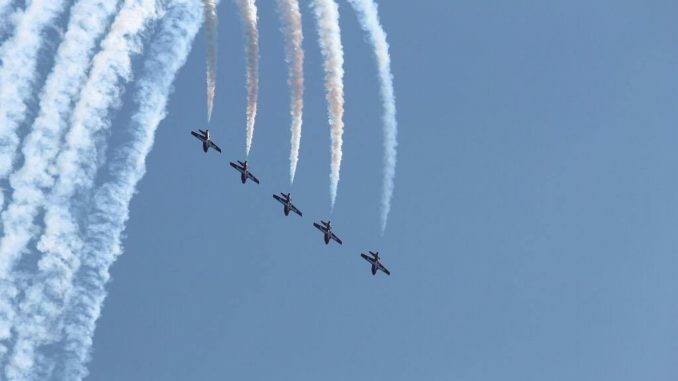 This year is like none other, as the display in the air is also a tribute to the Canadian soldiers who fought at Vimy Ridge and demonstrated outstanding formations on the Western Front. 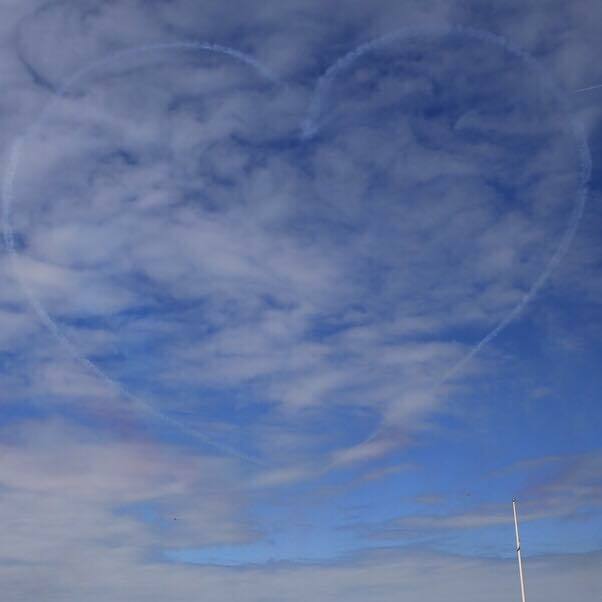 Today and all weekend, the Snowbirds truly showcase that victory in the sky in celebration of Canada 150 and our remarkable Canadian history. 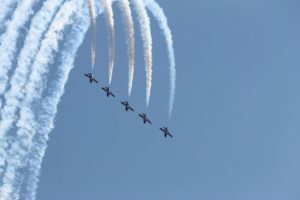 The performances included a dazzling display of high-speed and formation aerobatics that honour the presentation of two new flags — referred to as “colours” — to the RCAF. 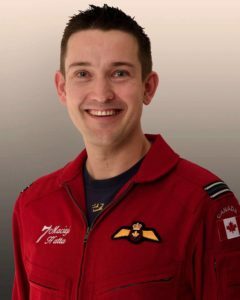 Among the many talented Snowbird pilots that are greatly appreciated for their dedication and skill was, Lucky #7 Snowbird, Captain Maciej Hatta who was born in Gdansk, Poland and grew up in Georgetown, Ontario. 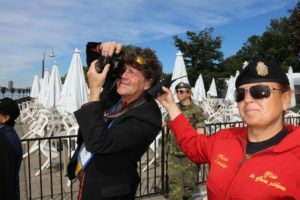 On Friday, Captain Hatta was greeted with a special message from Marek J. Goldyn and Chantel Elloway of the European Club of Canada in the morning prior to jetting off. 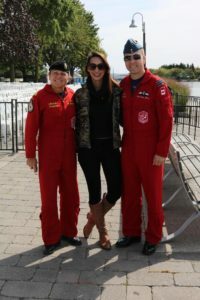 Captain Hatta joined the Snowbirds in 2013 and brings over 2,000 hours of military jet flying experience to the team. 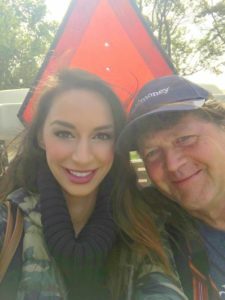 He flew the number 6 and 3 jet positions between 2014-2016 and in 2017 he flies the number 7 jet, in the outer left wing position. 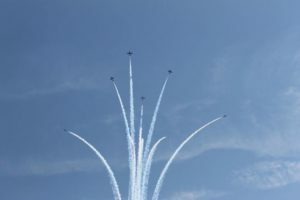 Various planes used by the Snowbirds have been in the Canadian Forces inventory since 1963 and have been used by the Snowbirds team since 1971. 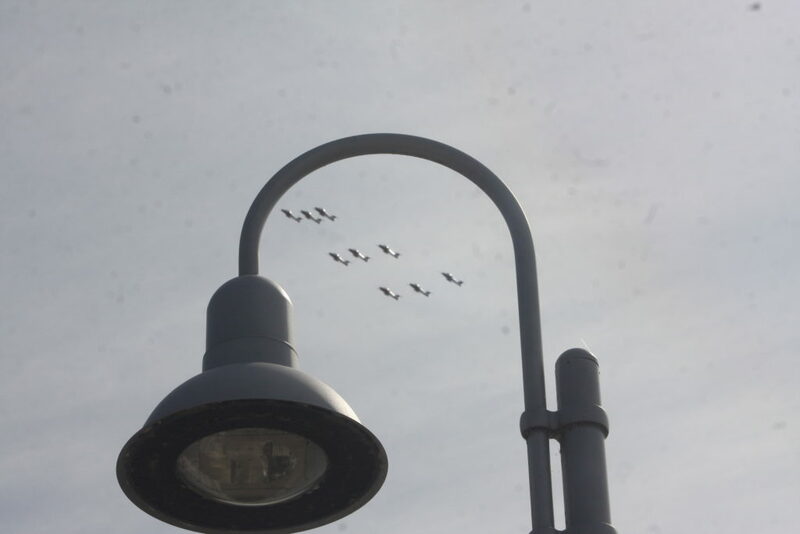 Today, viewers were enticed by a vintage, Second World War-era aircraft that demonstrated past and present air force capabilities, leaving you glowing with patriotic pride. 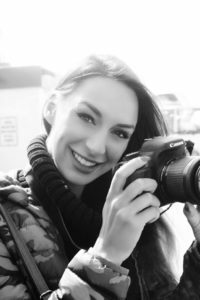 Lucky #7 Snowbird, Captain Maciej Hatta who was born in Gdansk, Poland and grew up in Georgetown, Ontario.